Every week, or what Derek thinks is a week, we collect a few of the highlights from around the industry. New kits, new people, and even people getting laid off (we feel you, our entire staff was laid off from our previous magazine), and maybe even a senseless video. We all waste more time online than we put into our real jobs. 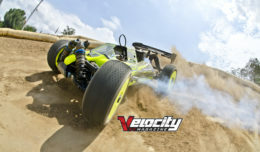 So this is our contribution to the fall of humanity…RC! RTR. Say it with us Pro-Line “Arrr Tee Arrr!” For now, we only get a chassis kit of a new 4×4 monster truck/basher kit from Pro-Line and it’s pretty sick. 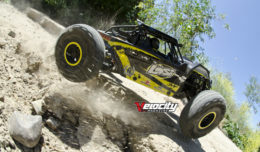 The front pillow ball suspension is tough and adjustable the 1/8-scale short chassis makes it a blast to put big power in. 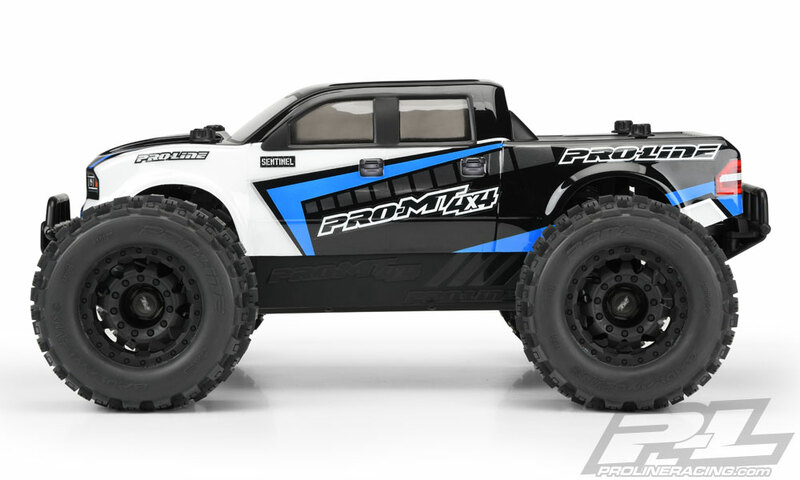 Pro-Line is baby stepping up to being a kit manufacturer, or what we think fit them as an RTR kit manufacturer. But until then you have to add gear to make this bash monster go. We’re into it. The RC industry isn’t exactly in a warm and fuzzy place. It’s a tough market, and when big names are let go from companies they seem to help start that’s a bad sign. The race tire market isn’t for everybody, and AKA never seemed to get many other products out to support being a more than tires. 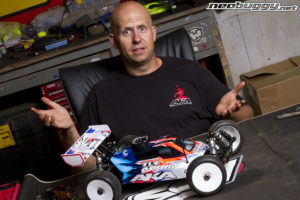 Mark has been successfully racing with his son (and rocking his paint scheme) but will this be the end of the Pavidis name in RC? Who’s hiring? Sometimes you’d think kits are a thing of the past, then the king of RTR drops a kit version of the awesome TRX-4? Thank you! We also dig the new Tactical Unit look, but way more into the groovy Ford Bronco body. Was it a Halloween video, or a Christmas video? We don’t know, but we will guess from the size of the package in the video that if you want a mini AE vehicle to give as a gift another one is coming. It’s just a guess if it’s going to be a buggy or a truck? Maybe a mini RC10? Most don’t care who distributes products, we just buy them. Horizon and AE haven’t been on good terms lately, but it seems like they have made a deal to have AE products available through Horizon Hobby again. It’s a good thing for those who own hobby shops. So be happy.